Santa Rosa (#115979) (1883-1911), a 326.5-foot, three-masted iron-hulled commercial passenger steamer specially built in Pennsylvania for West Coast service. She had a shallow draft to enable her to negotiate the once shallow harbor at San Pedro (Los Angeles Harbor). 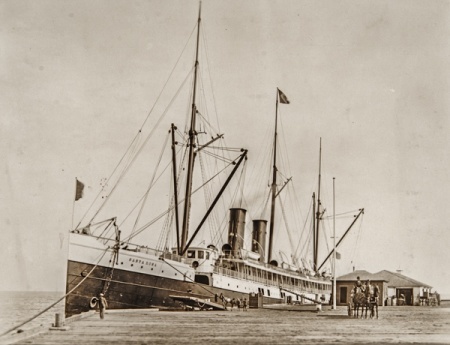 From 1883-1897 Santa Rosa was owned by the Oregon Steamship Company, and from 1897-1911 she was part of the Pacific Coast Steamship Company’s fleet. Her regular run was between San Francisco and San Diego, with stops in Los Angeles, Redondo, Santa Barbara, and Port Harford. Santa Cruz Island Company invoices show the steamer Santa Rosa serviced Santa Cruz Island for almost 20 years between 1892 and 1911. 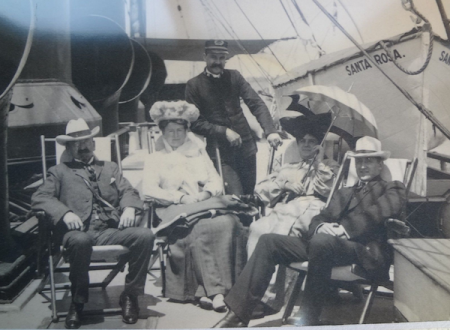 Justinian Caire left Santa Cruz Island for the last time aboard the steamer Santa Rosa after she delivered supplies to the island on December 2, 1897. Justinian Caire died at his Oakland home December 10, 1897. The Santa Rosa was wrecked and pounded to pieces just north of Point Arguello in a heavy fog on July 7, 1911 with 200 passengers aboard. There were four fatalities. 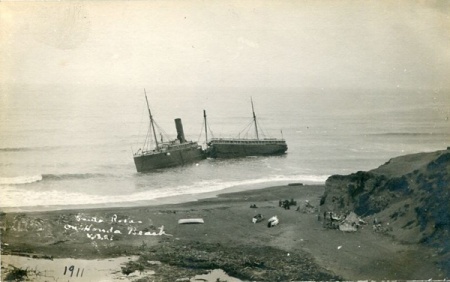 According to Margaret Eaton, the Selig Film Company took pictures of the wreck of the Santa Rosa at Point Arguello. [Eaton 1980: 184]. The Santa Rosas popular running mates were the State of California and Queen. This page was last edited on 13 September 2018, at 19:17.